Cheval Blanc Randheli is all about the French 'Art de Recevoir' meaning 'opening your home to guests'. A stay at this fantastic hotel-resort start by an extraordinary arrival with the Cheval Blanc's sea plane. Within the already luxurious hospitality environment of the Maldives, Cheval Blanc is a league of its own. The combination of extremely high luxury standards, luscious rooms, and excuisite culinary art makes your stay a long lasting and cherished memory. The rooms are actual villa's, equipped with the latest technology standards and each villa comes with a Majordome (butler) that looks after guests’ every desire, whilst the Alchemists suggest customised experiences for outdoor discoveries. Ever heard of a Spa Island? At Cheval Blanc you do not just enter the Spa, a boat will take you to the Spa Island and there awaits you a unique and exclusive experience with a range of treatments and massages available. The Spa also a unique collection of unequalled well-being and body enhancing experiences consisting of spa rituals, sporting activities and personally tailored culinary journeys. The culinary venues at Cheval Blanc are spoken of as culinary art. The White serves breakfast and brasserie-style cuisine around the clock, the White Bar faces the Maison’s main pool and serves refreshing cocktails and light food. TFor a more culinary experience of elite class there is Le 1947, expect a 9-course culinary experience, the menu has the French cuisine as its base, interpreted with delicacy and creativity in a Maldivian setting. Le 1947 bar is an ideal venue to start or end a gastronomic experience. If you are looking for a gastronomic 'change of scenery' The Diptyque might be the perfect solution, this live-cooking theatre serves the finest Japanese and East-Asian food. This is a restaurant of two halves, both with open kitchens that encourage close interactions between the Chefs and their diners. Next to these already culinary treats we have the Deelani, a lively Mediterranean restaurant. Throughout the day, home-made gelati, sorbets and granita can be enjoyed on the deck, before the restaurant’s atmosphere begins to buzz at cocktail hour. The evenings bring delicious tapas and fresh seafood cooked on a Mediterranean style grill. On the main island, the fitness centre with its lagoon view is equipped with the latest Technogym machines. The sporting facilities also offers a state-of-the-art golf simulator, water activities like sea fishing, yachting, water skiing, sailing a catamaran and much more. Upon arrival, the Majordome welcomes guests and ensures a smooth settling in by arranging a complimentary jet-lag treatment or handling all unpacking with the help of the Maison’s Lingère. For those afraid of being bored while staying at an island there are many activities to attend or do like on neighbouring Maakurandhoo Island, two tennis courts built to Australian Open standards provide a pristine, sun-basked environment in which to play or even get lessons taught by experienced professionals. Cheval Blanc is a very child friendly resort making the stay for your little ones just as memorable as yours. Le Carrousel & Le Paddock are specially designed to entertain the younger guests, from little ones to teenagers. For the youngest, Le Carrousel offers a range of cultural, playful and sports activities: children yoga, submarine pictures safari, treasure hunt and many other memorable experiences. For teenagers, Le Paddock offers an entirely dedicated space opening onto a garden: billiard, table football, table tennis, a multimedia station as well as many other experiences from a subaquatic hike to observational astronomy sessions. North of Malé, Noonu Atoll includes a handful of unspoiled green islands protected from the ocean by a large coral reef. The islands blend elongated palm trees, tropical flowers, white sand banks, pristine turquoise water and fringing reef. The atoll waters house a dazzling sampling of multicolour fish, rays and sea turtles. 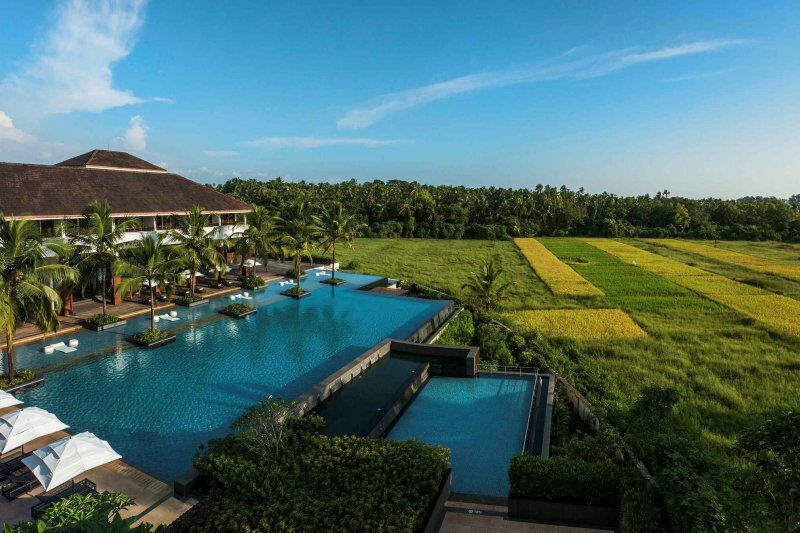 The Alila Diwa is purposely located a little bit outside of Goa leaving you with a tranquil resort that serves your needs in every way, relaxation is the hotel's key word. Guests here are surrounded by cool design, extreme luxury and stunning nature like tropical rainforests, breathtaking waterfalls, emerald waters and white sandy beaches. 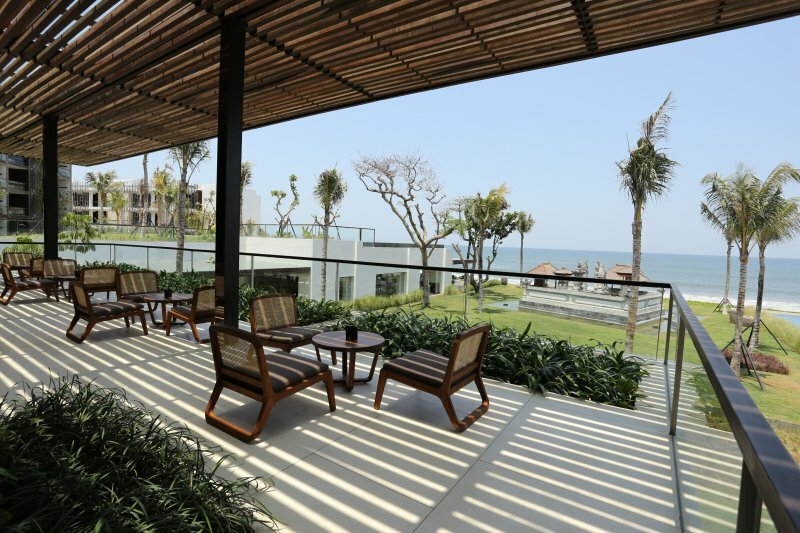 A brand new high design boutique resort along Bali's West coast surrounded by the best beaches and Bali's legendary beachclubs.